Social Media | MGS Designz & More! MGS Designz & More is all about getting into the latest technology and finding the fresh new ways to help you stay on top of your marketing game! So once again, we took the plunge into Social Media Marketing to figure out all the in’s and out’s so we could guide you through the messy parts! We’re all about helping our customers not only understand but make the most out of advertising and marketing. We want to help you look good, sound good and have a far and wide reach to send your message out to everyone about who you are and what you offer. We can do everything from getting you set up, teaching you the ropes, customizing your accounts to handling your monthly posts! We like to use social media in combination with your email marketing and blogging to extend your reach and get more people reading about you! We believe that taking advantage of social media marketing is just plain smart if you’re a small to medium-sized business on a budget. Ask yourself, how else can you reach thousands of customers and prospects all over the globe without high advertising costs? Now if you’re wondering what is Social Media exactly? Well, “Social media” is a term that just encompasses new ways of talking to prospects and clients online and building relationships with them. And we all know that talking to people is definitely an effective way to market your business! We’ve come to understand that this new way of marketing can be overwhelming, frustrating, and downright confusing for some people. It’s a challenge especially for those people who are less computer savvy and have reservations about the internet. There are so many options and you might not know where to begin! 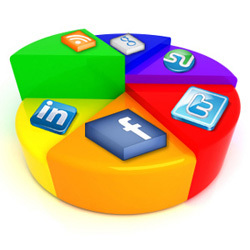 Facebook, Twitter, LinkedIn and YouTube are the most trafficed social media sites. You don’t have to use all of these tools , but it’s helpful to at least set up a profile on all of them. Don’t get overwhelmed or stressed out about it! Take your time, learn and implement one by one, then focus on the one that has the highest return on investment for your business. Here at MGS Designz we are all about pre-planning and making things easier. This also applies to our Social Media Marketing techniques. 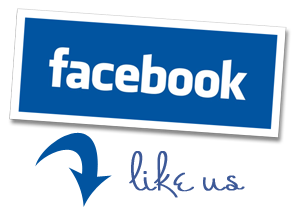 We recommend that you pres-chedule your status updates and use tools that can update multiple social media properties at once. My favorite free tool for doing this is HootSuite.com. I use it to manage all of my clients social media marketing and it saves me a lot of time. But watch out for terminology that’s specific to one social network. For example, it can be confusing to post a status update that uses mentions or hashtags (technology that’s specific to Twitter) on Facebook. So when you’re posting across networks, make sure your message works across all the different social media sites that you’re posting to. Also remember that twitter posts have to be limited to a smaller amount of letters so keep them shorter! So if you’re still confused about all this and wonderful which one you should focus on… our answer is: Use the social media site that most of your prospects are on because that is the best one for you. In the beginning, you will need to experiment with different sites. The great thing about social media is that you can track – exactly where your clicks are coming from, which site is sending you the highest-converting traffic, etc. So it really takes the guesswork out of seeing which site is most effective for you. We can help you sort through all of this – just request an appointment and we’ll walk you through the process. Now if you’re wondering how much time you should spend on each of these… this can be tricky! You have to be realistic about the time you have. Social media is fast-moving, and it’s much better to be on frequently in very quick bursts than it is to put an hour in once a week. So what if you’re not online or don’t have something to sell online. 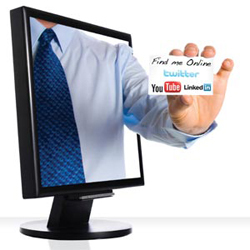 Is social media marketing really for you? 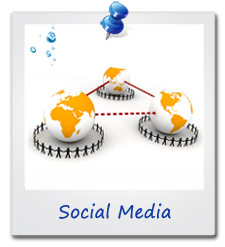 Social media marketing is useful for every business that has customers who are using the internet. If your business serves a country that doesn’t have the internet, or if all of your buyers are over the age of 85 then maybe social media marketing isn’t for you! Remember that social media marketing isn’t just to make a quick sale. It’s much more like networking – we believe you should use social media to up the “know, like, and trust” factor with your business. Build relationships, make friends with customers and prospects, and let people know what’s going on with your business. Send out content that lets prospects get to know your philosophy and offerings without having to take up your time with one-on-one conversations. Are you ready for great marketing? Contact us today to schedule your FREE one hour marketing consultation! Please feel free to email us at or call us today at mgsdesignz@gmail.com (239) 282-2869 or at (954) 326-5366. MGS Designz Copyright © 2019. All Rights Reserved.